Are you looking for someone to companion you in your spiritual life? A spiritual director is a person who has experience in the spiritual journey and is willing to be in service to a person’s desire to open to, and discern the presence of the Divine (God/Spirit/Source) in their life. Whether you have been a person of faith for a long time, are in a season of doubt and disorientation, or coming into a brand new awareness of God in your life, regardless of tradition or creed, spiritual direction can be a valuable support on a person’s spiritual path. The spiritual direction relationship is often compared to the relationship a midwife has to a pregnant mother giving birth. The director is a companion, an encourager, and a gentle listening guide, working with you and bearing witness to what God is “birthing” in this season of your life. People often seek out a spiritual director when they are wanting to deepen their relationship with God, want to discern God’s presence and action in a given situation, or when God seems confusing, distant, or absent. If you are interested in learning more about, or entering a relationship with a spiritual director, please use the contact form below. All responses are kept in strict confidence. We want to find you a great-fit spiritual director. *I'm specifically inquiring about having Christa Hesselink as my spiritual director. 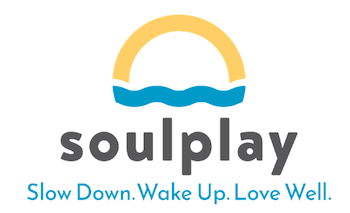 Christa & SOULPLAY are rooted in the Christian tradition. This question is not meant to deter people who identify with a different faith or "no faith" tradition. Thank you for your interest in Spiritual Direction. Christa will be in touch with you within 5-7 business days. Christa Hesselink has been guiding individuals and groups as they dig deeper into their spiritual life for her entire twenty year career. Christa is a certified coach, certified yoga instructor, and is training to become a spiritual director with the Haden Institute which is rooted in the Christian tradition. She was in pastoral ministry for over ten years, holds a Master’s of Leadership and a Master’s of Theology degree, and is a well-respected speaker, workshop facilitator, and retreat leader. Christa is a member of Spiritual Directors International.